Once just a cluster of ugly metal, single-story buildings in industrial areas, Self Storage Construction has undergone a drastic face lift. Today, Self Storage Building Designs sport a variety of configurations, a wide array of colors, high-end finishes and architectural details formerly seen only on high-end office buildings. 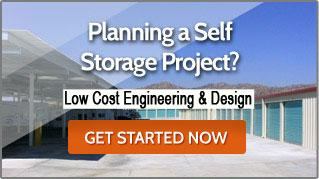 Mako Steel will help you design a Self Storage Facility that will fit beautifully into any neighborhood. Get started by giving our color selector a try. Simply click on a building element tab, then select a color to see a visual demonstration below. But don't stop there. Our design engineers can help you think outside the box and design your next Self Storage Project to realize you wildest dreams and to meet your most exacting design specifications. Want to see how cool a self storage facility can look? Click here to see a luxury Self Storage Facility for Boys and Their Toys. *Contact us for a complete list of colors. Click here to download a pdf of our Color Selection Worksheet.